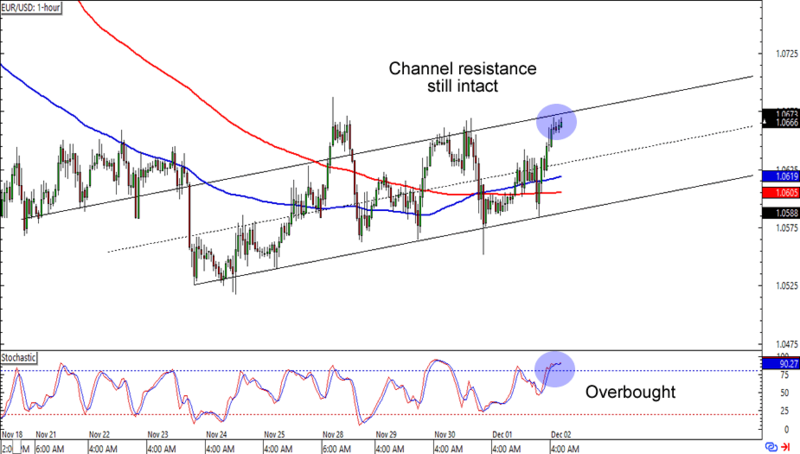 EUR/USD is lollygagging around the 1.0670 level, which is right smack at a rising channel resistance on the 1-hour time frame. What makes this setup more interesting is that an SMA crossover is opening the possibility of an upside breakout. Stochastic is chillin’ like a villain on the overbought territory, though, so the bears could still come out to play today. Which direction do you think the pair will go? Shorting at current levels is a good play if you’re one of them countertrend traders, while waiting for the pair to hit channel support or the SMAs is also a good idea if you think that the euro will continue to rally against the Greenback. 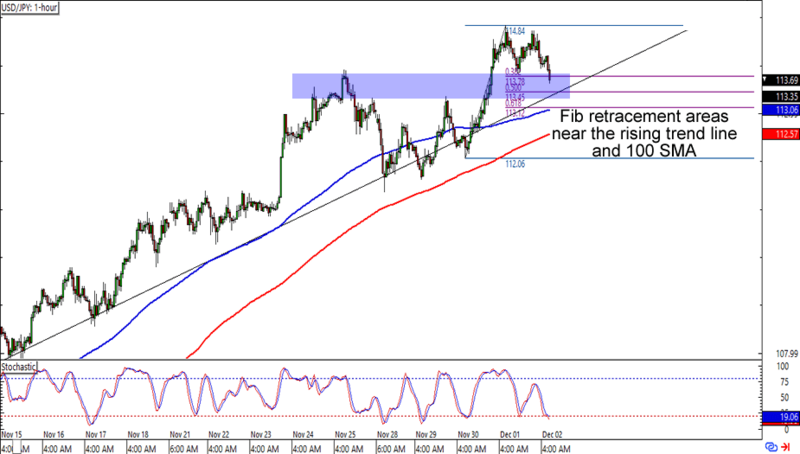 Here’s one for the trend traders out there! USD/JPY is about to hit the 113.50 minor psychological level, which is right around a 50% Fibonacci retracement level, rising trend line, and 100 SMA support. What’s more, stochastic is also about to hit the oversold region. 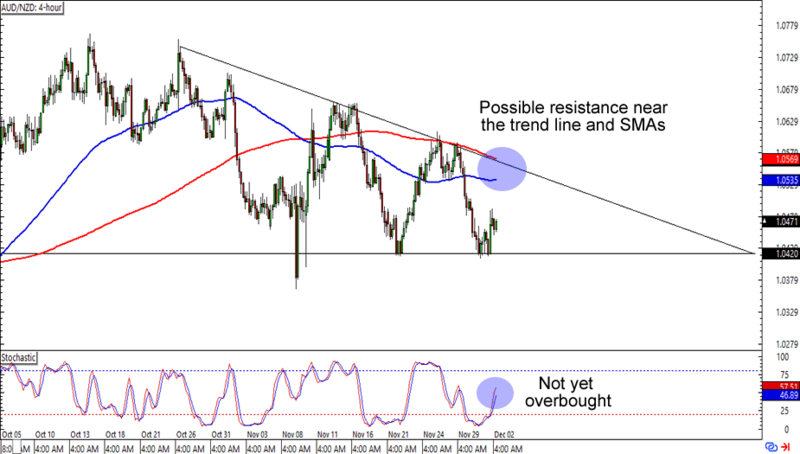 Think the dollar will soon go back to its uptrend? Or will the bears attack and force a downside breakout? Watch this one closely, folks. Look out for possible retracement or breakout opportunities in the next couple of hours! If dollar-trading isn’t your thing, then you might want to look at this descending triangle that’s been forming on AUD/NZD’s 4-hour time frame. The pair just bounced from the 1.0420 support that hasn’t been broken since the start of November. This time around, it looks like it’s headed for the 1.0550 minor psychological level near a falling trend line and 100 and 200 SMA resistance. Buying at current levels could still give you a decent enough reward-to-risk ratio especially if you aim for the triangle’s resistance. Of course, you could also wait for the Aussie to hit said resistance areas and short the pair around those levels if you want a more conservative approach.